If there is one reason to look forward to fall, it is this: New York Fashion Week. The new hues, cuts, fabrics and layers; the models, designers and celebrities sitting in the front row. For those in vogue, there is nothing more exhilarating, and what better way to get from one runway to another than by taking charter flights to New York Fashion Week? From classic designers such as Givenchy and Oscar De La Renta to scores of bold up-and-comers, fashion week offers a rare opportunity to get up and close with nearly 180 of the world’s most coveted labels over a much-anticipated eight-day event. Whatever your taste, wherever you winter, it’s an exclusive experience not to be missed. And when the magazines come out with the fashion week reviews weeks or even months later, you can tell your friends or the other women in the waiting room how you spotted that silk scarf at the Ji Oh show or how those red leather Desigual boots caught your eye way back in September, from two rows in. For nearly 100 years, men and women have been flocking to New York to see fashion shows, although the journey there was once a much more arduous task—by carriage, train or car from all corners of the country. You can relax at the shows since you won’t have to worry about making it to the airport in time. Our trip support team members are experts at timing flights so you can get into New York for your favorite designer’s show and a drink with a friend before heading home with the same crew. Or, if you get to take in the entire event, we’ll be waiting for you after the finale. Your flight can be ready in as little as four hours if a friend or colleague can’t make it to a show and offers up their ticket. Stratos arranges charter flights to New York Fashion Week to be crewed, fueled and ready to hit the skies and serve gourmet cuisine and beverages along the way. A private jet provides enough room for you and all your girlfriends to start the pre-show festivities. What better way to spend a few days with your best friends than at the year’s hottest fashion shows? Are you interested in booking charter flights to New York Fashion Week? 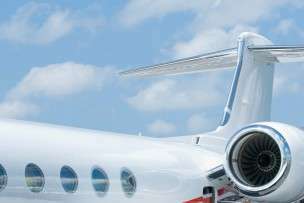 Stratos Jet Charters arranges the safest and most luxurious private jet flights so you arrive in style and on time. Our agents are available 24/7—(888) 593-9066 (toll free) or request a quote online.